NetherRealm Studio’s second fighting game installment has success written all over it. 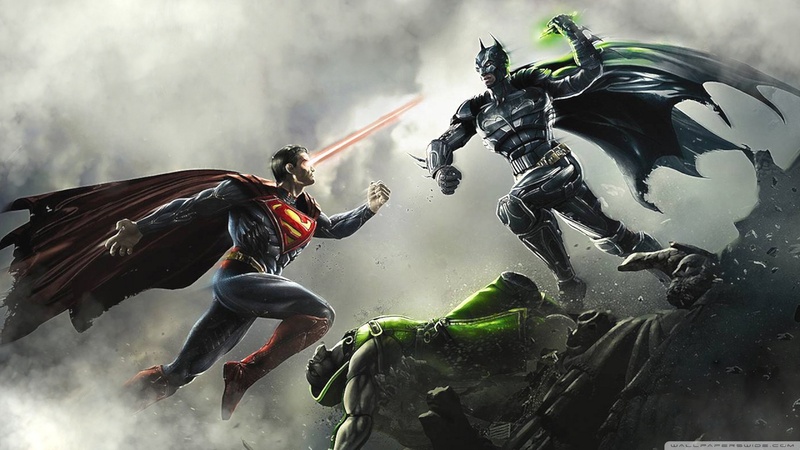 Injustice: Gods Among Us is a 2D fighting game that stars some of the most iconic characters of the DC Universe. The fighting mechanics are similar to previous installments of the Mortal Kombat franchise (obviously because the developers are the original creators of Mortal Kombat). The gameplay is fast paced and diverse. Every stage has interactive scenery that can be used to gain an advantage in a fight. Along with arenas in the most recognized places in the DC Universe comes the very exclusive abilities that each respective character has. With the new mix-up of the game play, these abilities can be used in tactical ways for the upper hand in a heroic or villainous clash between your foes. Such examples would be batman using bats to use as projectiles, Superman gaining a strength boost, the Flash slowing everything down around him and making him faster, Bane injecting his signature drug-venom- for immense strength, or Sinestro charging up his ring to shoot lasers at his foe. Aside from a cast of only 24 characters, this installment is not a let down as the gameplay feels much more fresh and unique from other fighting games. This game also offers a new mode aside from just fighting-The S.T.A.R. Labs missions. The missions are only in single player mode, but give much more of a mix up to Injustice. Injustice: Gods Among Us offers a story mode as well. It begins with the aftermath of a nuclear explosion set off by the Joker in the city of Metropolis. He tricks Superman into fighting Doomsday, but in reality, he killed Lois Lane and his unborn son. Lane’s death ended up setting off the bomb in Metropolis. In a fit of rage, Superman murders the Joker shortly after his interrogation with Batman. This game is a must-have for any fighting game or DC Universe fans. It offers a refreshing start to a continuing franchise and video game genre. There will be several hours (or days) spent playing this game and mastering characters.